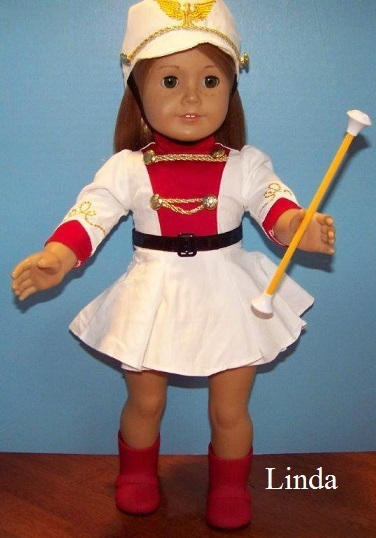 I used to twirl my baton as a girl and my Aunt was a Majorette in college. 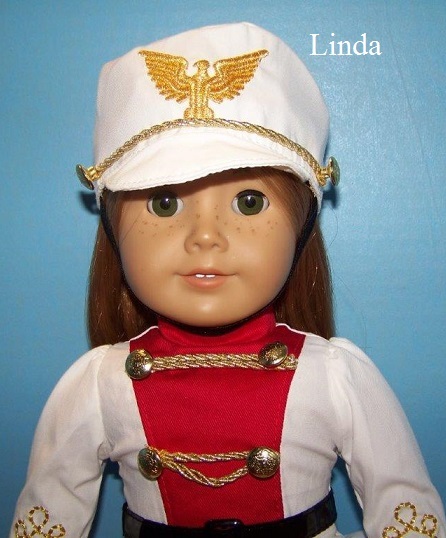 She marched in parades and twirled with fire, throwing her baton in the air, turning around and catching her baton. 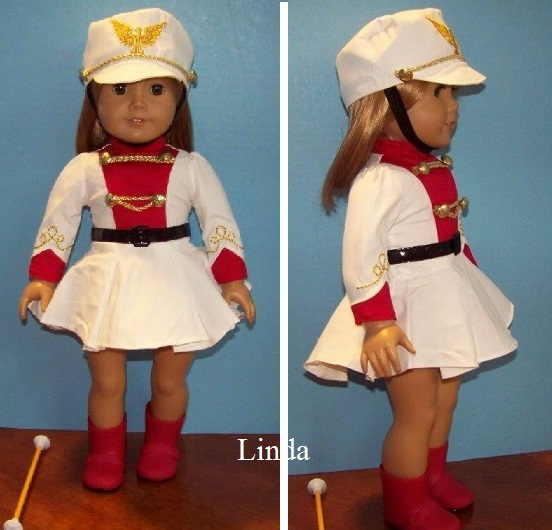 When I saw this OG Marching Majorette outfit at Target, I knew I had to buy it! It was $17 dollars, but I got 25 % off with a text coupon. I think it is so cute! 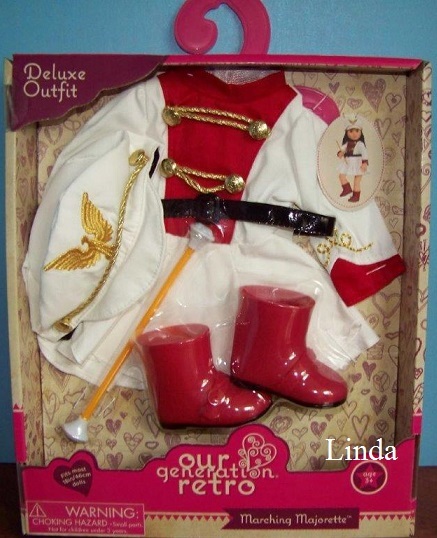 It comes with a hat, baton, red rubber/plastic boots a black belt and the dress. The AG dolls cannot hold the baton. I had a real hard time getting one sleeve on the doll. It took me forever. The other sleeve went over the hand quite easily. I wish it would have come with something to wear under the skirt. The belt was too loose , so I had to pull the Velcro tighter. 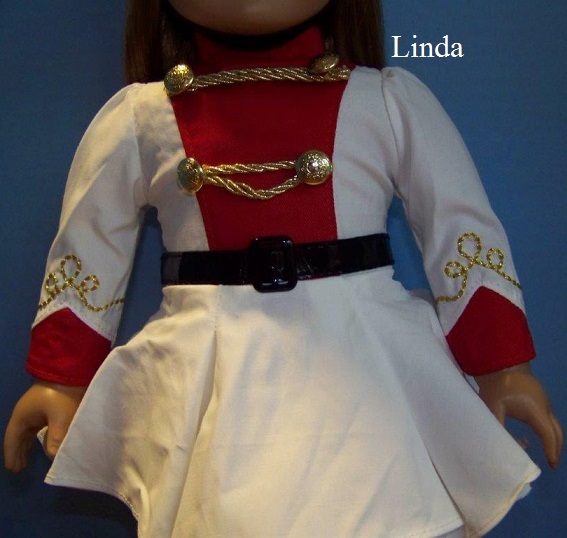 Now, this makes me think that I need to do a scene with a marching band! I always wondered about this outfit. Such a cute one and I really like that it is a good price. 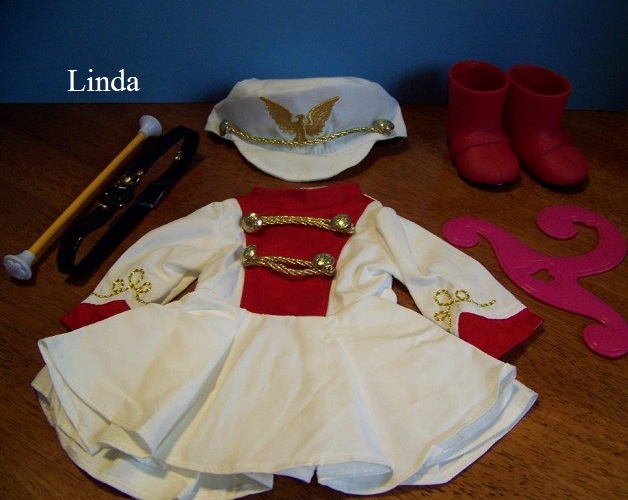 Now we just need some doll trumpets,horns and cymbals. In high school I twirled fake rifles. At the time I didn't realize it was just like what the Marines did/do twirling their rifles. Our high school also had majorettes and flags, but I hear that the band isn't like it was back then. 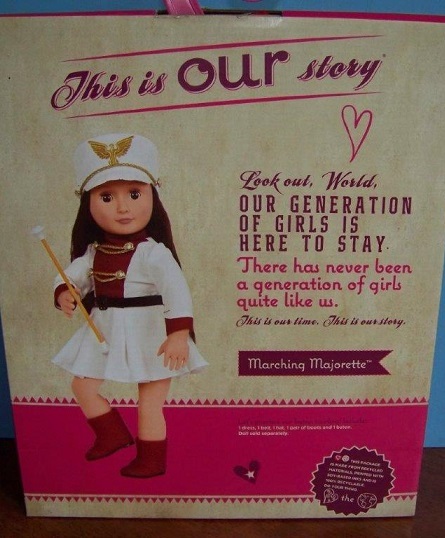 The area where I live, they have kids that do flags and sometimes twirl the fake rifles, and no majorettes. As a young kid, I remember going into the toy aisle and seeing batons. I always wanted one and to this day I will pick up a broom handle or the long handled swiffers and twirl them. I don't recall seeing batons in the stores anymore. Perhaps with Maryellen's accessory and the OG outfit, that will change. My daughters look at toys from my childhood and wish they were still available. 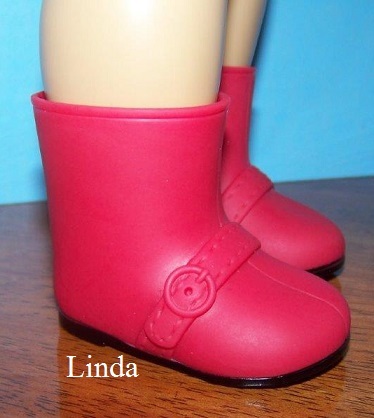 I do agree, I look back at the Ideal dolls and think that I had more toys that did something. Sounds like you and your sister had a fun time. Thanks for sharing.